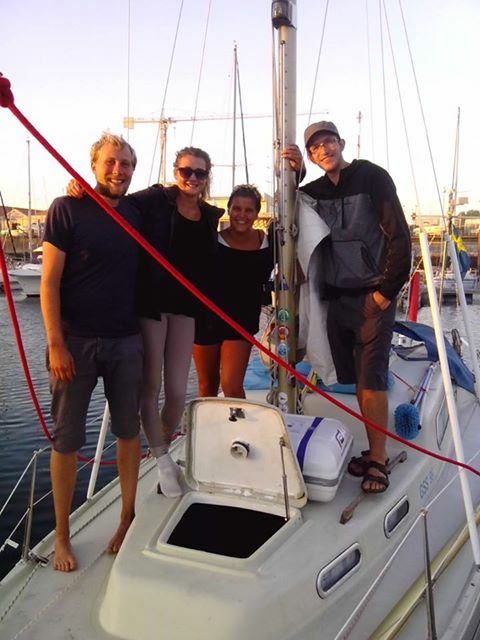 I have now reached Lagos in southern Portugal and while sailing passed the crux of the coast I realized I had been sailing most of the west coast of Europe, which was an amazing realization and very fulfilling feeling. Of the coutries I've been visiting so far I reckon Portugal is the best. The people are awesome and I had some crazy nights in Lisbon. Sadly Malcolm had to go home but once again australian Neil were a crew member down to Lagos. Also I had company of nice guy called Jonathan. It istrange because while travelling you meet so many new people that you just leave and then probably never will meet again. I have made so many friends I wish I could take them all on the boat! The winds have been close to non existant but still, the travelling has been great. I am not sure but it is most likely we saw a shark the other day! 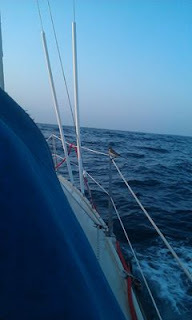 The boat had a small winged companion during the day. A sparrow found itself a long way from home so enjoyed a long rest sitting patiently on the starboard railing as we sailed through the atlantic. It was a beautiful thing to behold. 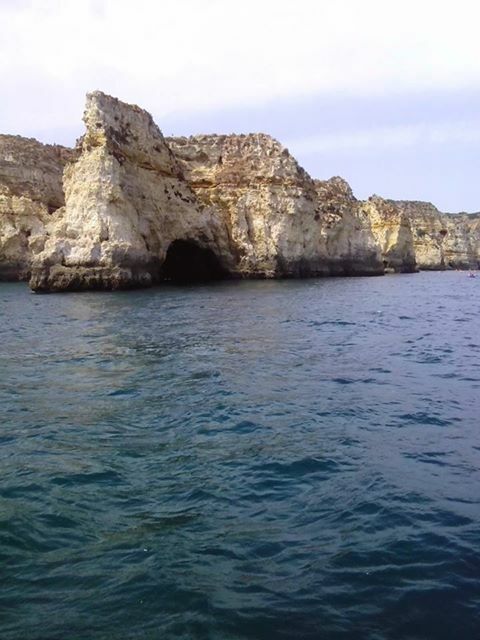 Now the legs of sailing will get shorter and some swimming and exploring of caves are to come! Bring on beautiful Lagos. We came at a perfect time, the city is celebrating the end of the summer so it will be one big party during the coming days.